Since he obtained a music degree from UND in 1978, Michael Halstenson has created compositions that have sounded in New York’s Carnegie Hall and Kennedy Center in Washington, D.C. as well as Tampere Hall in Finland. Photo courtesy of Michael Halstenson. There is that picture of Michael Halstenson that aptly captures his devotion to music. Standing in front of an orchestra, he clutches a thin baton in his right hand and stretches his left arm outwardly. His eyes glance to the side, his mouth slightly agape. 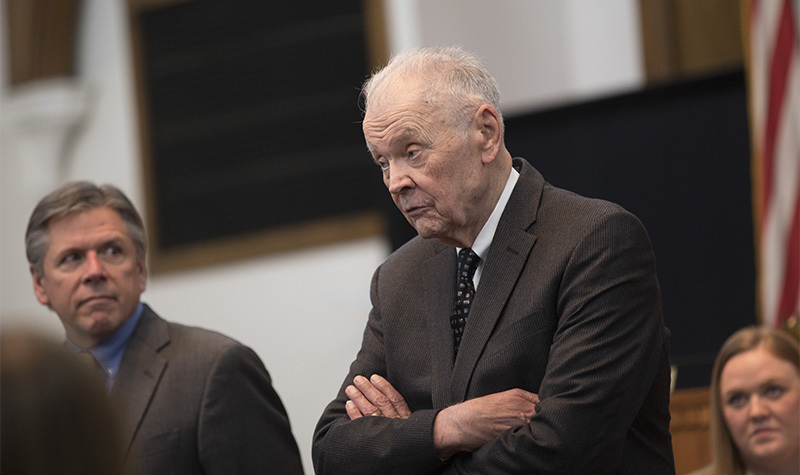 Caught in that moment, Halstenson’s countenance begets interpretations – is he feverishly conducting or having a pleasant chat with someone before the show? Whatever it might be, delight animates his face. 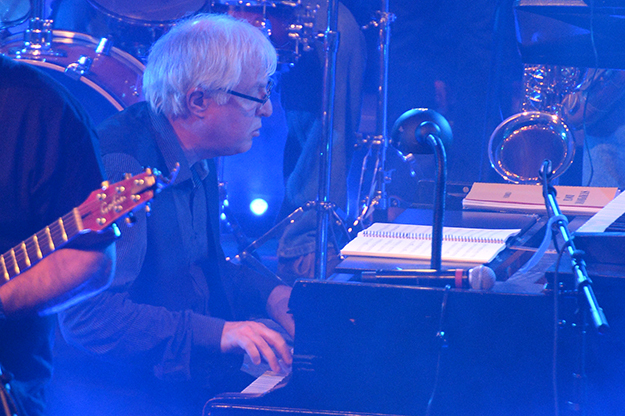 He is at his forte – yet another performance in his prolific career as composer and conductor. The 1978 University of North Dakota music grad got his start early, on a farm near Niagara, N.D. When not tending to the land, Halstenson’s father directed the local high-school band, a commitment that swept the young boy in. After four years at UND, as well as time at Webster College in St. Louis and the University of Minnesota, Halstenson has fervently written music – sometimes up to 50 compositions a year, he once told a local newspaper. His talent transforms nature and folklore into enchanting melodies. Through Many Dangers, Toils, and Snares, for instance, materialized as a response to a devastating tsunami in Southeast Asia. Another piece – for a concert on the British territory of the Isle of Man – honed on a local tale about a bird gliding over the ocean. Then there are evergreens like the joyous Playing in the Snow, which local National Public Radio and orchestras like to play around Christmas. Alongside grand regional venues, Halstenson’s compositions have sounded in New York’s Carnegie Hall and Kennedy Center in Washington, D.C., as well as Tampere Hall in Finland. Throughout the years, Halstenson has lent his musical acumen to the Twin Cities’ North Suburban Band and Northern Symphony, which he co-founded, and the Lake Wobegon Brass Band, among others. 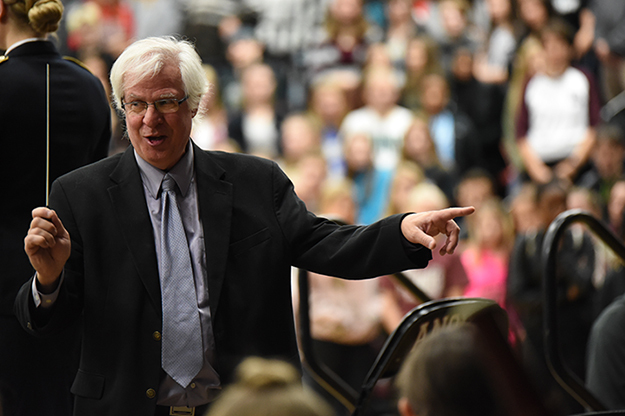 But, perhaps most importantly, he brought his passion to the classroom of Anoka, Minn., High School, where, as an orchestra director for over two decades, he inspired children to follow into his footsteps. As Halstenson settles into retirement without slowing down, UND Today staff writer Dima Williams caught up with him to talk about how UND shaped his professional trajectory. What is the most important lesson you learned at UND ? The most important lessons I learned at UND was to work as hard as I could, help as many people as possible and take part in as many things as I could fit in my schedule. 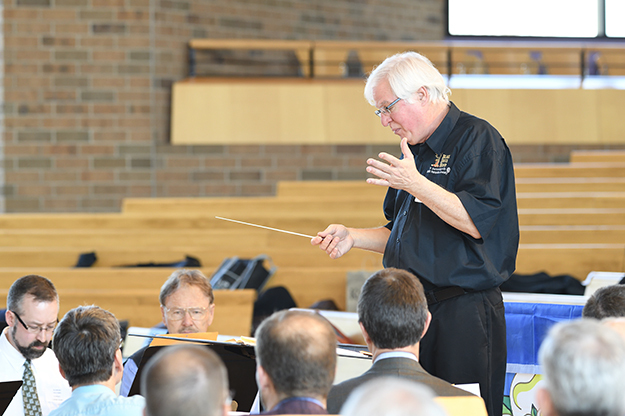 Throughout the years, Halstenson has lent his musical acumen to the North Suburban Band, Northern Symphony, which he co-founded, and Lake Wobegon Brass Band, among others. Photo courtesy of Michael Halstenson. And your most vivid memory of campus when you were a student? The constant motion of activity. Whether it be rehearsals and concerts, sports activities or just getting between buildings, there was a never-ending sense of movement. I was part of the opening of the new Hughes Fine Arts Center my freshman year, spent countless hours backstage of the Chester Fritz, directed pep bands for all the hockey and basketball games, played in every ensemble that would have me and somehow got through my classes. 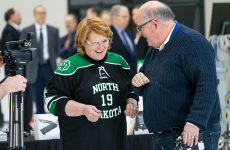 Was there anyone at UND who impacted you more than anyone else? Michael Polovitz (former mayor of Grand Forks), director of bands and clarinet instructor. I began studying with him when I was a 9th grader in high school. He allowed me to play in the University Wind Ensemble my senior year in high school and was a constant source of encouragement my entire time at UND and after I graduated. How about your favorite class at UND? Why? It is impossible to pick a favorite class. I was so fortunate to take so many high-level classes and experience what the music staff had to offer. People like Mike Polovitz, Mike Blake, William Boehle, Einar Einarson, Robert Van Voorhis, Elizabeth Lewis, Jack Miller, Gary Bordner and David Stocker were a few of the very talented professors that highly influenced my life. This list of people [taught various classes including] music composition and theory, instrumental and choral music and music education. I was able to study in all of these areas and gain experience in so many facets of music. How did the relationships you established at UND develop and impact you later in life? 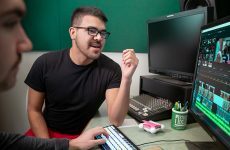 Creating wonderful relationships with the staff and students allowed me to have my music compositions played throughout my time at UND, conduct various ensembles and be part of a vibrant music program. This has continued my entire musical life. Halstenson says the relationships he forged as a UND student continue to flourish and nurture his musical career long after he left campus. Photo courtesy of Michael Halstenson. What do you miss the most about being a UND student? I’m not sure I miss being a student with all the pressures of classes and expectations, but I do miss the incredible opportunities that were always right around the corner or in the next room. The amount of music that I’ve been able to bring to my community through my work as a conductor, composer and teacher. I have the privilege of conducting the Northern Symphony Orchestra, Lake Wobegon Brass Band and just retired from teaching orchestra at Anoka High School. It has been and continues to be a wonderful career of making music. To keep getting better at what I do. As I get older, each day is a realization of how much I don’t know and what I need to learn to be a better musician. What fundamental question do you wish you had an answer to? My friends often quote my desire to instill a quality I call “intuitive work ethic,” which boils down to a person seeing and figuring out what needs to be done….and doing it. What do you think is the biggest challenge of our time? I have two. One, dealing with social media, its incredible benefits and incredible distractions. Two, commitment to those around you and to yourself to be the absolute best you can be. Any parting advice for today’s UND community? I suppose my advice is the same that thousands of people give. Work hard, be as involved as you can, and take pride in your work.